As people age, their senses and preferences start to change. Daily activities may carry new challenges for seniors including seeing, walking, hearing, or eating. That’s why it’s important to consider how design can address some of these physical, emotional, and mental changes to ensure seniors feel as comfortable as possible. Color, for example, plays a significant role when designing senior living communities. Seniors may struggle with glare and distinguishing colors between rooms. We recommend selecting paint that reduces glare and lies in the middle of the light reflective value spectrum (LRV). Paint colors with 40-60 LRV is usually a good range. Visual cues are also necessary to help reduce confusion when distinguishing rooms such as the bathroom and the bedroom. This is where contrasting colors are important. If the bedroom is white, then the bathroom should be ocean blue, for example, so that it’s easily differentiated. As seniors age, the eyes harden and become yellow. Colors appear more grey and “it’s as if you’re looking at everything through amber-colored sunglasses,” Paist says. That’s why pastels are not typically recommended when designing a senior living community since they can be difficult to distinguish. 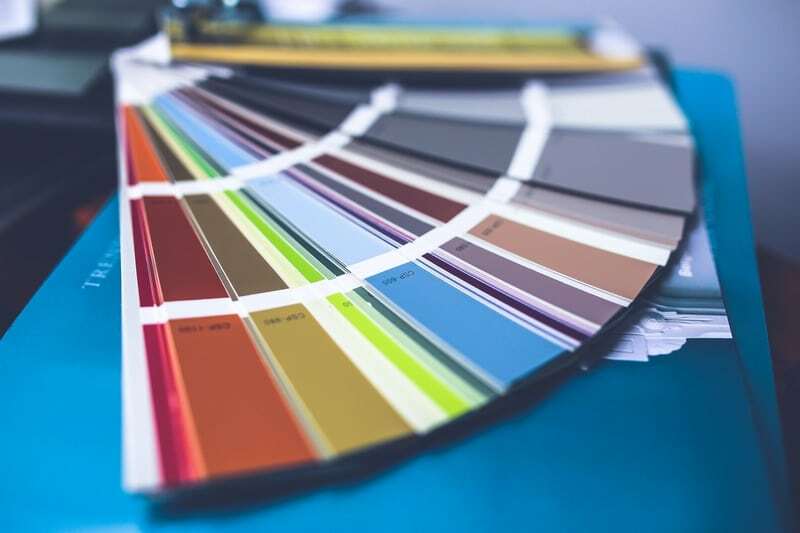 Saturated colors are easier for seniors to recognize and many paint companies like Sherwin-Williams are starting to create color palettes with healthcare facilities and senior living communities in mind. Green – Earthy and forestry greens are known to promote healing, relaxation and serenity. Blue – Studies show that shades of water and beachy blues help make people feel more at peace. It’s a calming color and tends to reduce stress. White – Light and bright shades of white and cream promote hope and spirituality. It’s also known to be cleansing and calming. Yellow – Yellow is often associated with happiness and is seen as a cheerful color. Red – Red is known to be a stimulating color that signifies strength and alertness. Brown – Earthy tones and espresso shades of brown are known to stimulate balance. Overall, color can have a strong impact on the comfort of individuals in a senior living community which is why it’s important to approach the subject thoughtfully during the initial design discussions. Our team is happy to help you with any questions you may have regarding color and the design process for your next project. Feel free to contact us and check out our portfolio here.